Even before we decided to homeschool, we were trying to make the toys we allowed our kids to play with a more educational experience. We tried videos that aimed to teach them to read; we gave them workbooks, and we did our fair share or educational songs. In the end, however, it was interacting with their natural environment that taught them the most. 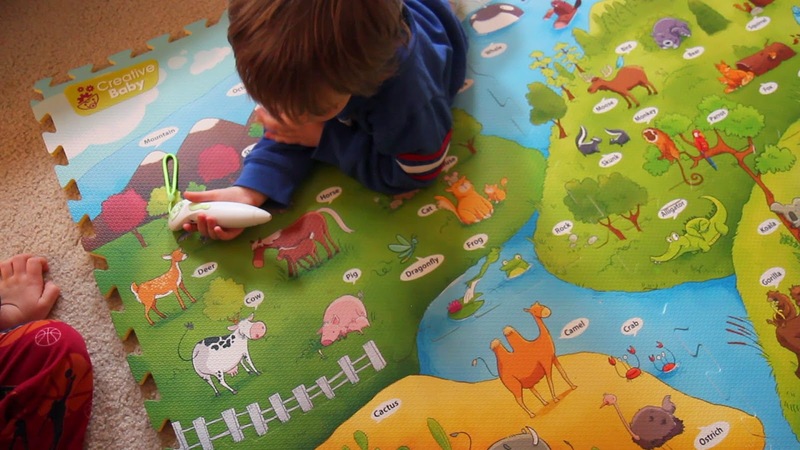 The new interlocking foam mat from Creative Baby, called the i-Mat truly embraces the learning "environment." By putting it down in a child's play area, they can crawl, sit, or lay on it, choosing to explore with our without the included electronic "pen." There are many cool features of the i-Mat, including a wide assortment of animals to explore, 3 languages, and just how big it is. The best way to see its full potential, however, is to check out the short video I made of my 3 youngest kids using it. Since we first received the i-Mat, my kids have pulled it out of the box to play with is many times. They can set it up themselves, and I know that it's safe. Aimed at ages 18 month and up, it's also one of the best parts of my 7-month-old's day. I think this is because he can safely lay in the mat and be "part of" what his older brothers are doing (something that's very important to him at this age.) If he spits up on the mat, it's no big deal. It wipes clean with a washrag and has survived his continued "scratching" with his little fingernails -- something he does a lot. We have been trying to wean our kids from things like tablets and computers, and this toy gives them a break from "screen time" while still allowing them to do something "electronic". 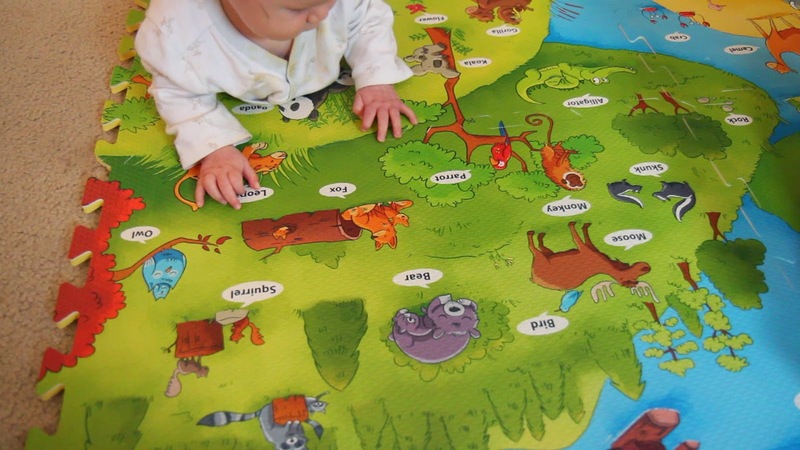 Even if you didn't want to get out the included pen for the electronic play, young babies will love crawling on the mat and exploring the pictures and colors. Once you buy the initial mat with the pen (priced at $80), you can add to your collection with additional mats, being released periodically and priced at around $30. Find out more about this learning tool at Creative Baby's website or check them out on Twitter! *Sample received to review. Opinions are our own.